Jeff Vioski’s passion for creating beautiful living spaces led to his dream of designing furniture to enhance and simplify people’s lives. Influenced by Chicago design, Jeff earned a Master’s degree in Architectural Design, completed many commercial projects, and opened his own firm to focus on high-end residential architecture. 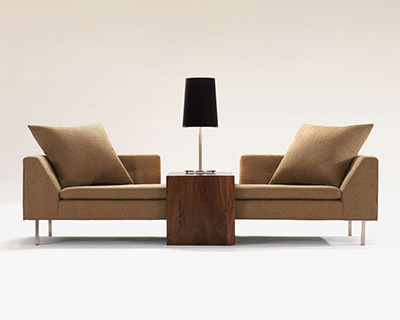 Increasingly fascinated with providing common-sense solutions for living, Jeff began to design & build modern furniture. The Vioski line was created as Jeff moved to California. Combining architectural theory and his love of all things modern, Vioski products were immediately recognized for their elegance, detailed artistry, and architectural strength, and the first of many Vioski showrooms opened in 2004. Today Vioski products are available in 12 showrooms, and is a three-time winner of Interior Design Magazine’s Best of Year Awards. With over 50 designs, Vioski modern furniture helps people maximize enjoyment of their homes and adapt to changes in lifestyle. 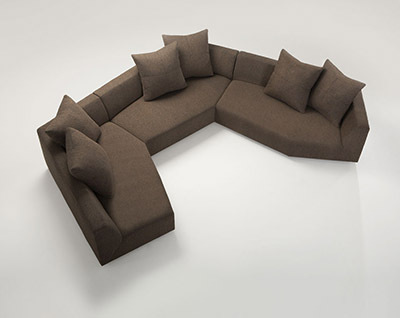 The Mitosi Sectional’s pieces can be moved as living space expands or downsizes. The Nicholas Sectional has a table built into the back, looks great from every angle, and saves space. 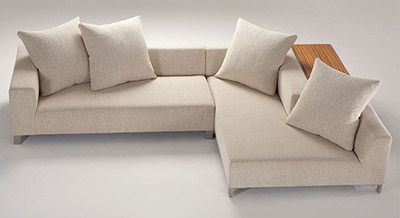 Ease-of use, innovative functions and comfort are incorporated into each hand-built piece of Vioski furniture. All Vioski furniture is made in the USA at the company-owned factory in Monrovia, California. You can see their product line HERE. His trendy furniture pieces can be used in any commercial interior design of an office, hotel or a sophisticated restaurant.